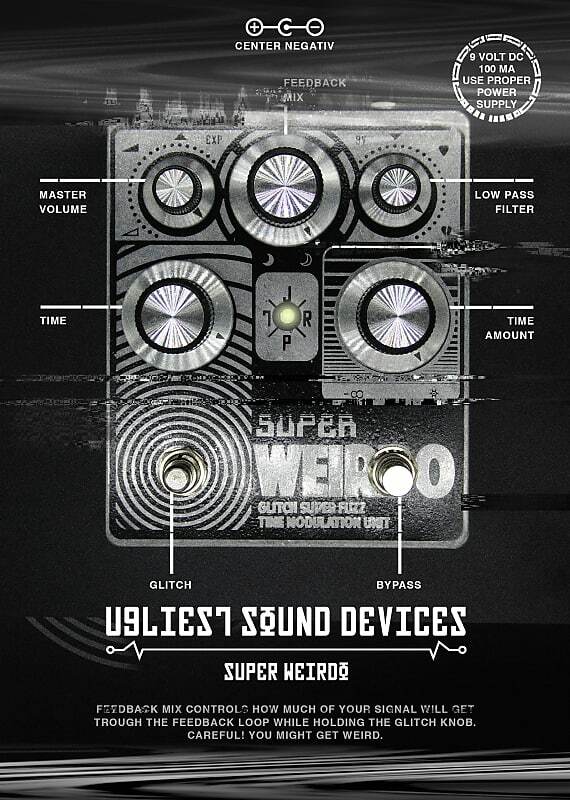 The JPTR FX Super Weirdo will be your closest friend and best kept secret, the kink in your playing. We truly outdid ourselves on our weirdness with this one. It's up to you to outdo yours. 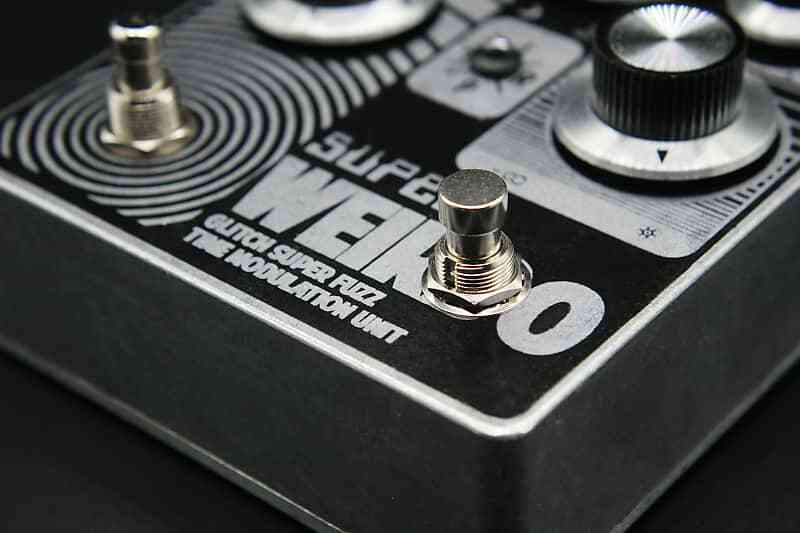 On the surface, the Weirdo is disguised as an early 90s style gated fuzz with a dedicated low pass filter knob to effortlessly find your place anywhere in the mix. However, this three headed beast delivers fuzz, time modulation and momentary glitch-bombs all in one enclosure. The core operation of this unit is to further enhance the input signal with an advanced, time based modulation effect: a Pulse Width Modulator. Two dedicated knobs allow the player to multiply and manipulate their playing. The Feedback Mix controls the amount of modulated signal added to the base sound, acting almost as a doubler. A further Time Amount knob controls the distance between each modulated pulse, enabling the addition and separation of layer upon layer, resulting in that Siamese wall of thick, dynamic and articulate Fuzz. Beyond this, an extra momentary foot switch gives the player expressive freedom to disrupt the signal with quick bursts of oscillation - aptly named Glitch. And, to guarantee all manner of expressive possibilities, we gave it an expression in. 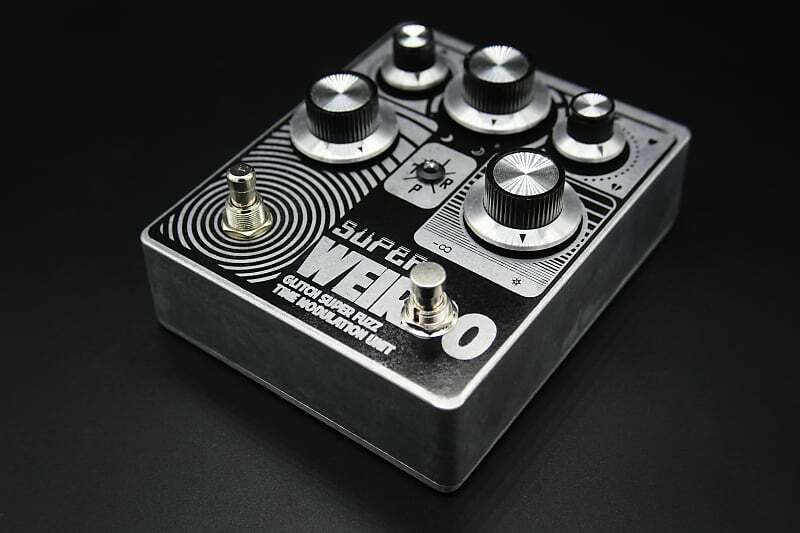 The Super Weirdo is a testament to its name. Unearthly, alien and downright trippy, its possibly the only pedal that simultaneously builds monumental walls while tearing them apart..